The estimated cost of construction of nuclear power plant of Russian design in Uzbekistan will be about $ 11 billion, the launch of the first power unit has been planned for 2028, the Aide to the President of the Russian Federation Yury Ushakov said, Interfax reported. Ushakov also said that during the state visit to Uzbekistan on October 18-19, President Vladimir Putin will take part in the ceremony of launching a project to build a nuclear power plant of Russian design in Uzbekistan. According to the intergovernmental agreement of the two countries, Uzbekistan plans to build a nuclear power plant, which consists of two power units with VVER-1200 reactors with a total capacity of 2.4 GW. The project will be implemented jointly with the Russian Rosatom State Atomic Energy Corporation. 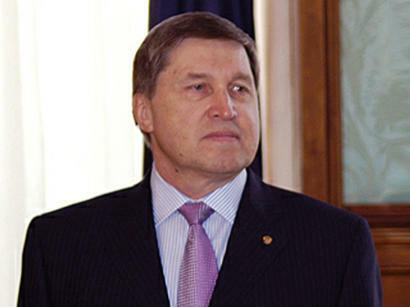 At the same time, Ushakov said, during the upcoming visit, the Russian leader will hold talks with President of Uzbekistan Shavkat Mirziyoyev. He also said that at the October 19 summit "a decision will be made to create a new mechanism for trade and economic cooperation." "This is a joint commission on cooperation at the level of heads of government. That is, in fact, the intergovernmental commission will be headed by the prime ministers on the part of Uzbekistan and Russia," Ushakov said. He noted that Uzbekistan "is among our leading economic partners." "Russia's share in the total foreign trade of Uzbekistan exceeds 18 percent - this is second place after China," Ushakov said. "According to the results of the current year, there are all opportunities to reach the trade turnover of $5 billion." At the same time, speaking about the international topics planned for discussion at the summit in Uzbekistan, Ushakov singled out Afghanistan, "as well as building up cooperation between Russia and Uzbekistan in the framework of the SCO (Shanghai Cooperation Organization)."